When you want the perfect golf bag, there are a lot of factors to consider. You have to choose the type of golf bag you want as well as right number of clubs that you will be carrying. Then there is additional storage and other features to consider as well. This definitely isn’t a buying decision that you want to make quickly. The golf bag that you get will be your best friend when you are golfing, and things like weight, ease of use and aesthetics are all things that will become more important the longer you use your golf bag. The task of choosing the type of golf bag will depend upon what you plan to use the bag for. 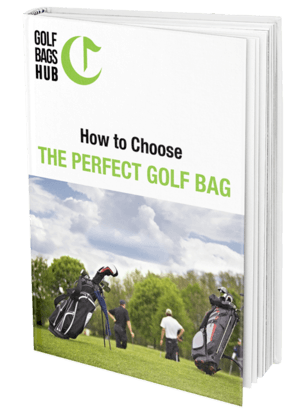 Understanding the different types of bags is vital and being familiar with the additional features and standardized equipment that comes with most golf bags on the market will help you make a better buying decision. In this article, you’ll learn everything that you need to know about choosing the perfect golf bag and learn all about the various parts and features, as well as become familiar with what you can carry in your bag and how you can choose the ﻿﻿best ﻿﻿bag for existing club sets for choose a club set for a golf bag if you buy it first. You’ll have all of the tools you need to make a solid buying decision. The first thing that we are going to discuss is the type of golf bag that you want. There are four basic types of golf bag, but in most cases, bags do double or even triple duty as more than one of these types. For example, a golf bag that you carry on your shoulder or back will often have a base or tripod so that you can set it up when you need to use it. Another example is the travel bag – many golf bags will claim to be appropriate for travel but if that is your goal you want to be more selective. The Golf Travel Bag - Let’s start with the golf travel bag. Although you can pretty much use any bag when you travel there is a major drawback to most golf bags when it comes to storing golf clubs for a trip – they do not protect them very well and they can get damaged or even come out of the bag and get lost. The true golf travel bag keeps your bags secure and safe from all of the rigors of travel, particularly airlines who treat your golf clubs like any other luggage and throw it onto luggage racks or compartments without being careful. The Golf Cart Bag - The golf cart bag is simply a bag that is intended to attach to your golf cart securely. There will usually be some type of dedicated strap to facilitate this. The Golf Carry Bag - The golf carry bag is usually combined with a stand because if you carry your bag across the course you don’t want to lay it down on the ground when it comes time to take your shot. Golf bags that are intended to be carried often have at least one shoulder strap and sometimes double straps for wearing it like a backpack. It is also worth noting that often these bags are made to fit onto standard push carts. These push carts can make it a lot easier to get your bag across the course and are recommended by golf experts to prevent back problems. The Golf Stand Bag - The golf stand bag is a bag that has a tripod or some type of base that allows you to prop it up and access your clubs. It must be stable to prevent tipping when you get your clubs out. As mentioned, these also usually have straps for carrying and sometimes will fit onto carts or be compatible with push carts. One of the things that you are going to need to evaluate with each golf bag that you look at is how the golf clubs fit into the bag. To start with, what kind of an opening does your golf bag have? Some have what is called a stadium opening and there are a couple of other types as well. The type of opening you choose depends upon your personal preference. Another thing that comes on some of the premium golf bags out there is the putter well or recess. Putter wells are often located on the outside and allow you to drop your putter in and get it out without getting tangled with your other clubs. Dividers are a consideration related to knowing how to put clubs in golf bag which we will discuss in more detail later, but for now you should know how to load a golf bag properly. Understanding what the dividers are used for will be covered in more detail in another section. There are some great brands of golf equipment out there and far too many to list them all here. Brand isn’t as important to your buying decision as the quality of the product, but it is often a good indicator, according to the Pinemeadow Golf Blog. We have selected some of the top brands that you will see often so that you have some background on golf bag brands and know more about the company manufacturing them. Taylormade - Taylormade is one of the top brands of golf bags right now and they have been dominating for many years. Their Purelite model was ranked as one of the ten golf bags all time by by the popular golf blog ‘Where’s My Caddie’. Calloway - Calloway is an American manufacturer of golf equipment and has been in business since 1982. They are well known for making high-quality golf bags and more and are consistently found on the lists of top ten brands by golf experts all over the web and in print. Samsonite - You might recognize the Samsonite name as one of the most famous manufacturers of luggage. They have been in business since 1910 and have become one of the most respected makers of golf bags – particularly travel bags – which protect your clubs just as much as Samsonite luggage protects your belongings. Nike - Nike is a familiar brand to just about every American and most people around the world. They have also become well known lately for creating some of the best golf bags on the market. Nike is consistently ranked high on lists of the top brands and have been for almost a decade. OGIO - You will find the name OGIO on some of the top rated golf bags on the market – particularly on Amazon. Not every bag that they make hits the mark, but their strength is that they are able to compete with bigger brands on quality while still keeping their prices reasonable. Wilson - The manufacturer behind the volleyball that kept Tom Hanks company in the movie Cast Away is also one of the biggest makers of high-quality golf bags. You will find many Wilson bags on Amazon with some really high ratings and lots of satisfied customers; they often theme their bags such as offering them in designs for each of the 32 NFL teams. Ping - Ping is based in Phoenix, Arizona and has been manufacturing golf equipment since 1959. They consistently make high-quality golf bags and in fact, Golf Digest Magazine ranked the ten best bags on the market a few years ago and Ping secured two of those spots, the only manufacturer to do so. Another big part of your golf bag – and the most important part according to some experts – is how many dividers your golf bag has. The number of slots that you have on your bag determines how your clubs will be situated. For example, if you have fifteen different slots each club that you have can have its own slot and you can pull clubs out faster. A bag with only four slots will need to have multiple clubs in each slot and that means sometimes they will get stuck. If you do find yourself loving a bag that doesn’t have enough slots for all of your clubs there is one solution that works for many golfers. They sell plastic tubes that you can fit inside your dividers to keep your clubs separate in the same divider. Another big consideration that is related to the dividers in your bag is the length. Full length dividers are much preferred over the ones that don’t reach all the way because it is much easier to get clubs out of the bag and put them back in when the divider goes all the way down. This is especially true when you only have a few dividers such as four slot golf bags. The clubs can get all tangled up at the bottom and your entire game can be held up while you extricate your clubs. If you have a chance, get dividers that go all the way to the bottom. Another part of the golf bag that you want to consider is the strap and handle. Golf clubs should have at least one and if possible, two handles to make it easy to pick it up. Often there will be a handle on the top that allows you to grab it when you want to move it such as when it is attached to a push cart. But there will usually be a handle on the side as well and that allows you to pick the bag up and physically move it. The handles will often be soft molded so that they are secure and durable, but there are also nylon straps on some models, leather straps on others and many handles are also reinforced by a rubber grip piece. There are often straps on your golf bag as well and this is something you want to pay particular attention to if you plan on carrying your golf bag around a lot. Having a shoulder strap will usually work if you plan on having your bag on a golf cart or push cart most of the time, but if you plan on carrying it all over the course you should probably hold out for a bag that has two straps so that you can wear it like a backpack. Let’s talk about your pockets. Your pockets are sort of your golf bag organizer. There are quite a few pockets on most bags and they break down into some pretty specific types. You don’t necessarily have to have a lot of pockets for a bag to be useful, but you do have to have enough room so that you can store all of the things that you will need for golf. Let’s go over each pocket type in detail. Standard Pockets - These are the average pockets that you will find on your golf bag. You can store just about anything you want in these pockets. They are the pockets you use if your bag doesn’t provide a specific pocket for an item. Insulated Pockets - A golf bag with a cooler pocket allows you to keep your drinks cold while you are out on the golf course. You might just have room for one or two beverages in a golf bag with built in cooler or you might have enough room to store an entire six-pack. It just depends upon the bag. Velour or Wool-lined Pockets - These pockets are intended for you to store your valuables. They are lined with velour or wool so that you can keep expensive jewelry or other items in your bag without any danger of them getting scratched or otherwise damaged. Apparel Pockets - You will also have large pockets (larger than the rest) that are intended to hold your golf clothing. These are usually big enough to hold on set of golfing clothing and a pair of golf shoes although you may also have room for a towel. Specialty Pockets - A specialty pocket is one that is intended for a specific purpose. In the case of golf bags, there is often a special pocket just for tees, which may include small sleeves for them. There is also often a pocket for your balls and for other items that you use when golfing. Some pockets may be waterproof to protect items like your scorecard. How Pockets Stay Secure - The mechanism to secure pockets differs with each bag but the usual method is a zipper. Zippered pockets are usually very secure and easy to open. Pockets that you use all the time may have a magnetic strip that keeps it closed until you pull on it and some bags simply have slits to keep unimportant items in that do not need to be secured by a zipper. There are certain things that you want to have in your golf bag and knowing what those are will allow you to choose our bag with more confidence. Besides your clubs, you will need to keep your tees in your bag, your golf balls and your range finder. In addition, you want to have your scorecard and a pencil stored somewhere in your golf bag as well. There are also a number of non-golf items that some experts advocate keeping in your bag. For example, you might want to keep a first-aid kit in your bag along with some good bug spray and sunblock. You should also carry a supply of energy bars in case you get hungry and an extra pair of socks is always a good idea. In golf, your socks get wet more often than you’d like and there is nothing worse than walking around in wet socks. Next, we’ll go over some of the additional features that your bag might have. For example, some bags have technology built in that distributes weight more evenly over your entire body while you are carrying the bag, either by the shoulder strap or with the backpack straps. In addition, some bags – especially travel bags - have security features like zippers with locks that allow you to keep your items secure while your bag is traveling in the cargo hold. Golf clubs and items like range finders are expensive and a lock may prevent theft. Some golf bags also have extras like a specific sleeve for an umbrella if it gets wet as well as a rain hood that actually fits over the top of the clubs to protect them in the case of a sudden shower. Some bags also have a specific water bottle sleeve (other than the insulated pocket) and a key ring or other securement area for your car keys. There may be other additional features that you will find but they differ from one bag to another and there would be no way to list them all. Usually these are luxury items that are not really necessary and don’t really have to be part of the equation if you are considering buying a golf bag. There are some other considerations when it comes to golf bags. One of the biggest hacks when you have a golf bag that doesn’t have enough dividers for your clubs is to insert plastic tubes into the compartments that you do have so that you can separate all of your clubs and keep them from getting all tangled up with each other. These tubes are inexpensive and if you are looking at a bag that only has four compartments but has everything else you want, they might provide you with a way to get the dividers for each club set up without having to pay more for a bag that has fourteen or fifteen dividers already in place. One of the other things that you might want to look into is golf bag tags. These aren’t just tags that tell people who the clubs belong to if they get lost – if they happen to be found by the rare, totally honest person – but actually are tags with tracking information that will allow you to find your clubs – usually with a smartphone app – if they do happen to get lost or stolen. This is especially useful in the case of a travel bag where your clubs get moved from one luggage compartment to another. Your first step is to decide what type of bag that you want = whether it is a carry bag, golf cart bag, travel bag or one compatible with a push cart. When it comes to this golf carry bag, travel bag or the ones that fit on your golf cart or push cart, you want to figure out just what features you can live without and which ones you need before you start shopping. If you need a certain number of dividers and a pocket for your valuables that is lined with a protective surface then you want to limit your search to only those bags. You should also have a budget in mind for your bag, because if you don’t know how much you want to spend you may take the first bag that you come across that meets your requirements and you could miss out on saving some big money.